Fairly light weekend for finding rusty things - seems people are already prepping for the July 4th weekend. I hit two sales and only found a handful it items at one of them - however what I did find was extremely cheap - I paid less than $10 for everything on the bench. 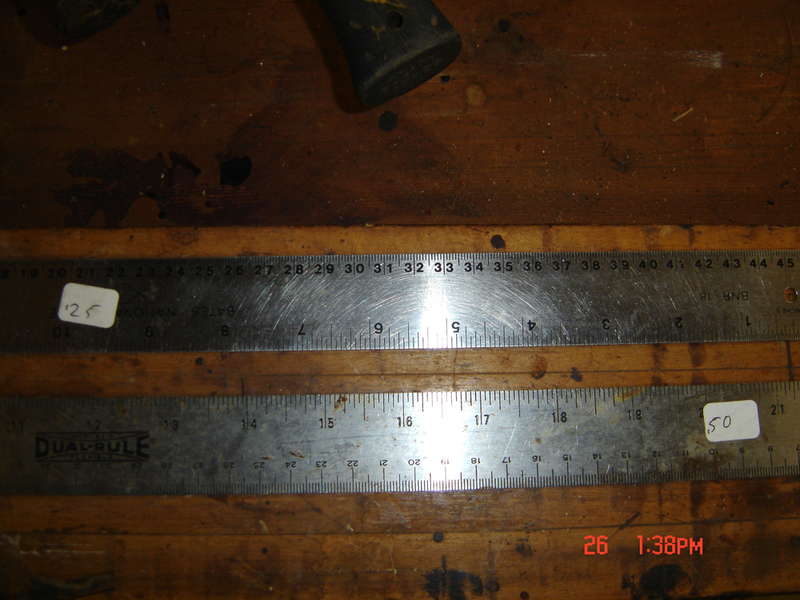 You really can't have too many rulers around the shop - I particularly like these thin stainless-steel rules - they have a thin cork backing to keep them from sliding off paper and I've found that any that are US or Japanese made are extremely accurate (they should be with marks going to the 16th of an inch). At $0.75 for the pair these are a welcome addition. 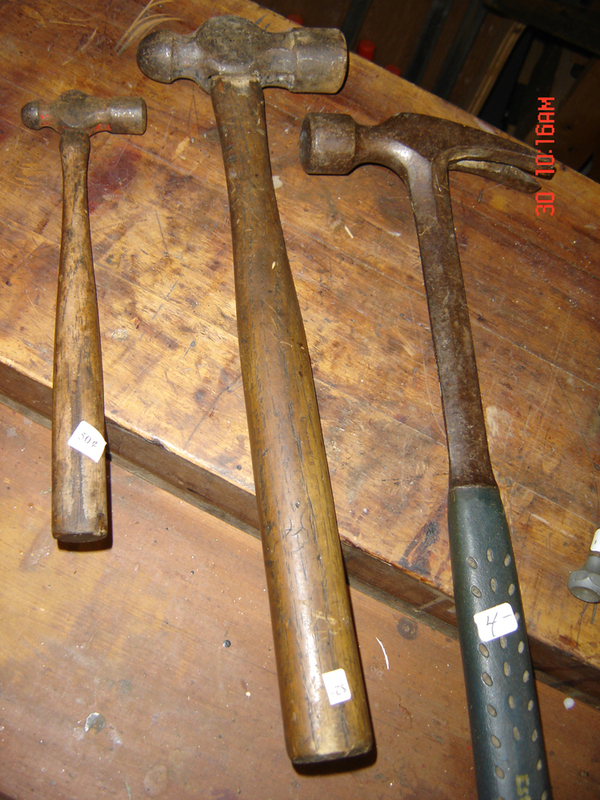 Next up are a trio of hammers - as a collector of mostly older, US made tools my hammers tend to have sturdy oak or hickory handles - however one hammer worth having is the metal-hafted Estwing - this lighter-weight framing hammer will join a heavier, textured face Estwing that I found buried on a job site many years ago. The only negative with these is that some tend to ring when striking a nail - I tested this one before buying and it's just dandy. 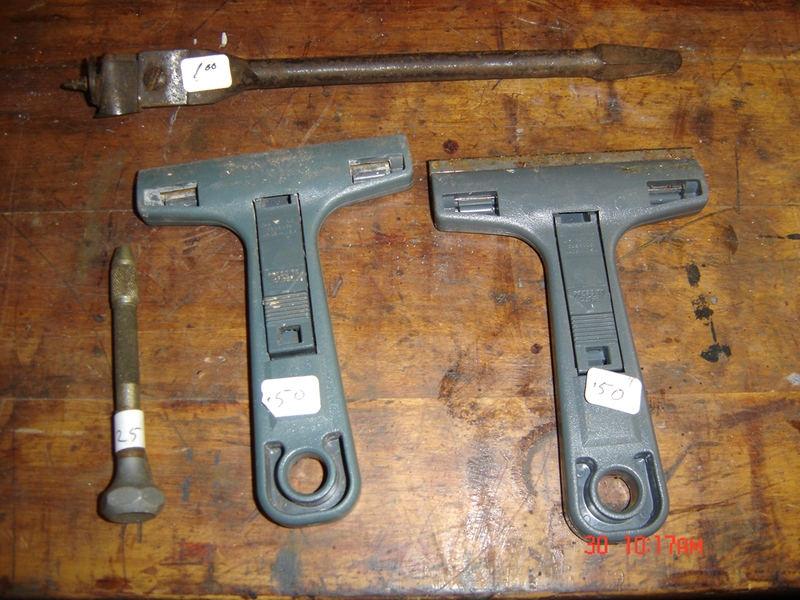 The two ball-peen hammers are interesting - the larger was made by one of the better hand-tool makers, Plumb (for some reason collectors go crazy for Plumb hammers, hatchets, axes, etc) - this example has had the head wedged in upside down and since the haft-hole is tapered a couple of big screws were added to keep it from moving - just dumb. 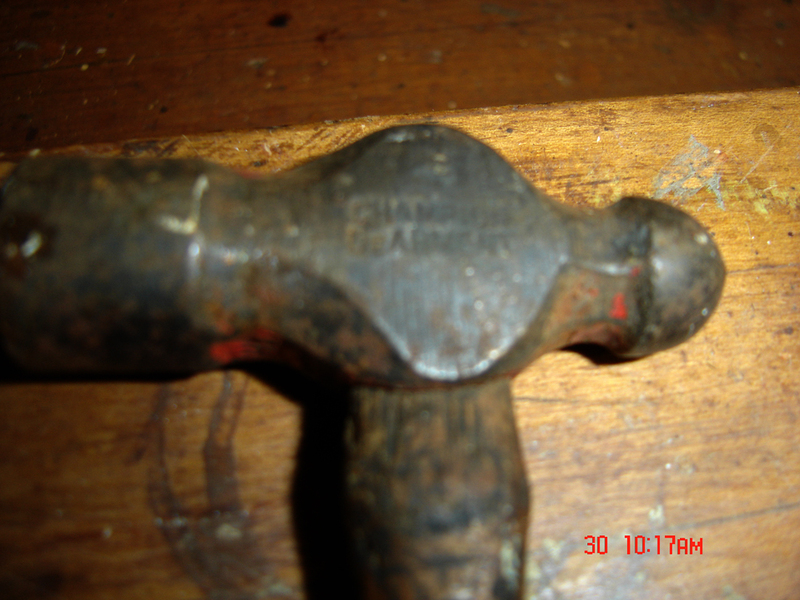 The smaller hammer is marked Champion - obviously made for delicate work - I don't think I've ever found a use for these (maybe I'm too ham-fisted for delicate work?) but they look cute hanging on the wall. 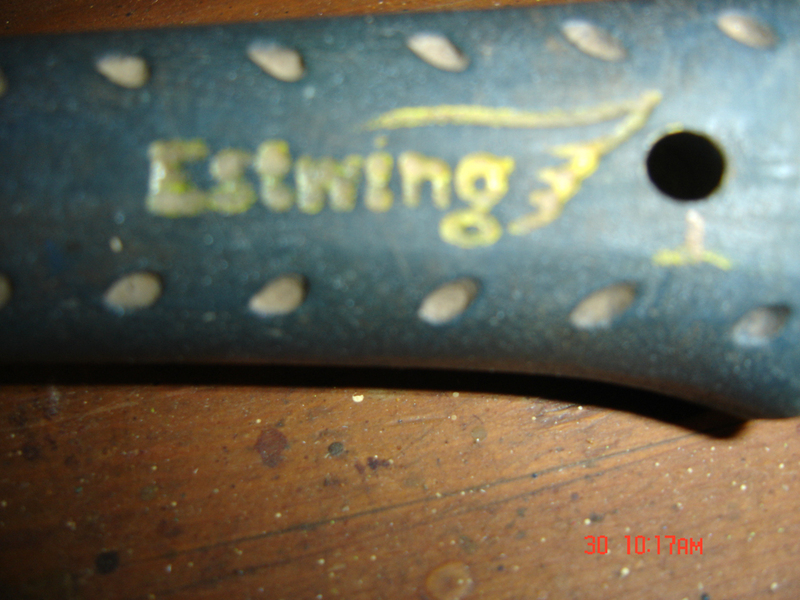 Estwing wraps their handles in some type of rubberized plastic - at least from the more recent period when this example was made. They always seem to be in good shape - whatever mix they used doesn't crack or deteriorate like some of their competitors, at least that I've found. 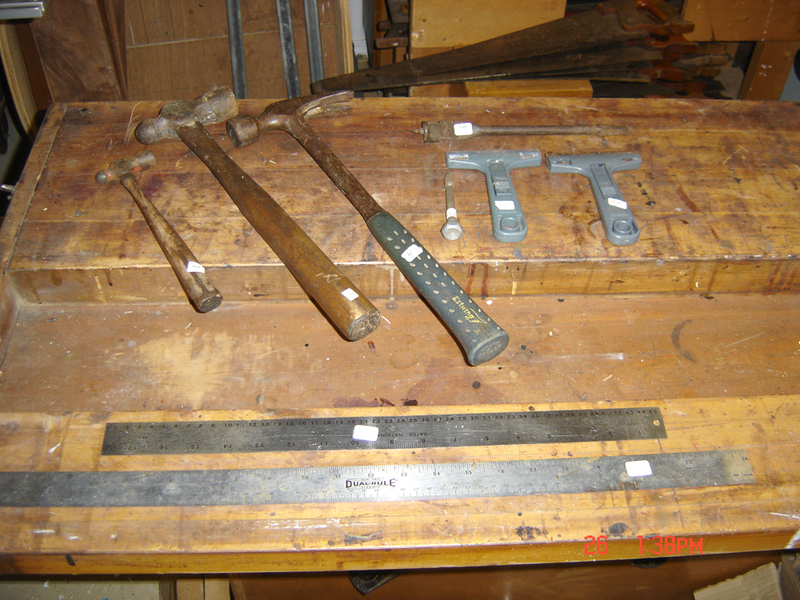 The remainder were some super cheap items that were worth picking up - the pin-vise is really well made. 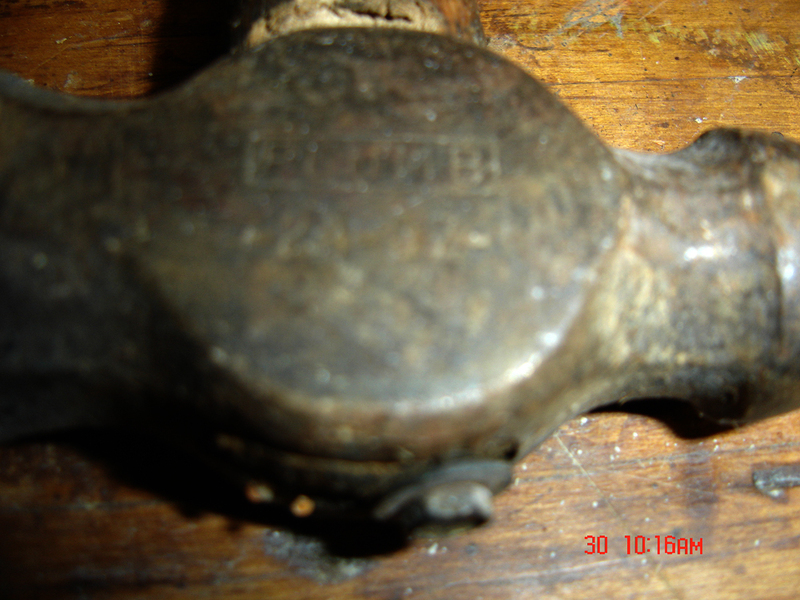 The adjustable brace-bit is unmarked. The two scrapers I use for cleaning off glass and are some of my favorites - years ago a friend of mine worked for a company that made a similar product so I'm well stocked with blades, so having a couple of extra of these are worthwhile. In all, a very light week (and it looks like the July 4th weekend will be even lighter) - good for my wallet though. Hey after getting that super-cheap glue-pot last weekend I don't mind at all. Even your "light" weekends, yield some pretty cool stuff! I love the hunt! Great job hunting through sales! We share similar passions. I look forward to seeing more posts.